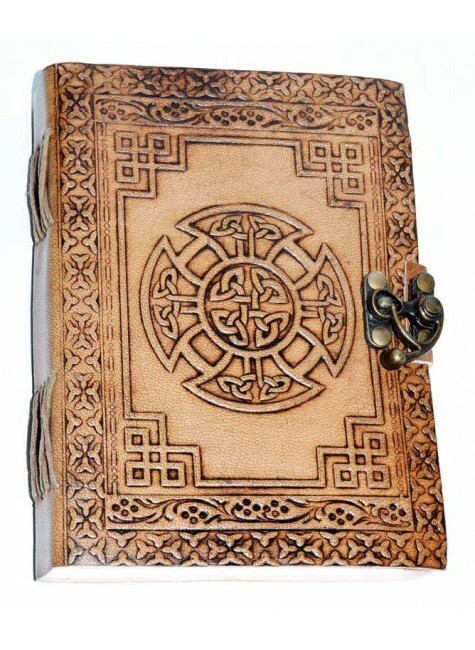 Beautifully hand tooled leather blank journal has a Celtic Cross design and brass latch closure in a 5 x 7 inch blank book. 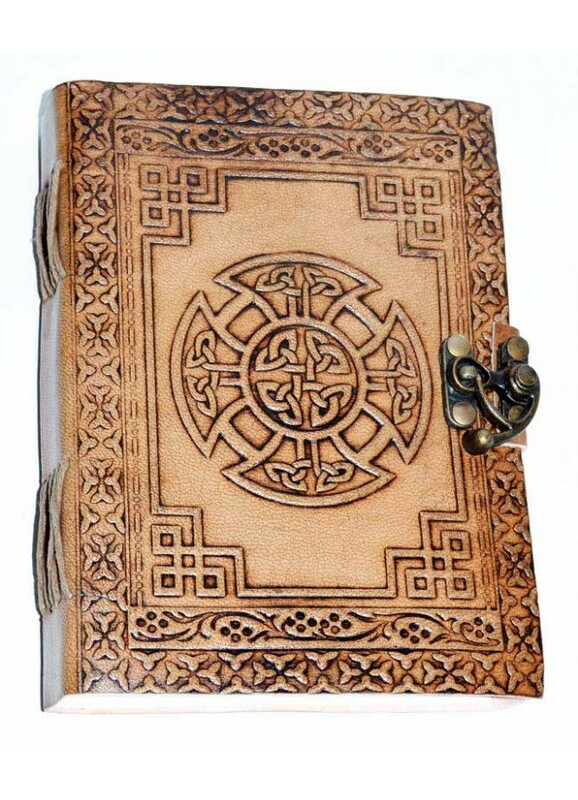 Hand tooled leather book cover has an embossed equal arm Celtic Cross with brass latch closure. Contains about 192 pages of hand made unlined paper. This journal is 5 x 7 inches. Item Number: AA-BBBCC | Approximate Size (Inches): 5.00 wide x 1.00 deep x 7.00 high | Approximate Shipping Weight: 1.00 lbs.